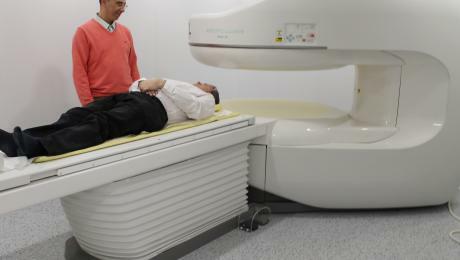 Avicenna Clinic, a new private healthcare clinic in Peterborough, has installed the first open MRI scanner in the region. Avicenna Clinic is an independent, consultant-led private healthcare practice with a range of specialist consultants. The clinic’s Hitachi Open MRI facility is particularly useful for patients who suffer from claustrophobia or obesity. Patients benefit from MRI scanning technology without experiencing unnecessary anxiety or physical discomfort associated with the more usual enclosed imaging systems which typically have a tunnel-like scanning area. Dr Hany Elmadbouh, lead consultant and radiologist, said: “I am delighted that the Hitachi Open Scanner has been successfully installed in the practice and that patients will soon benefit from this highly in-demand facility. The clinic is located on North Street in the centre of Peterborough.